Three new ESCs are added to SiLabs on github. Please be patient, I'm sure Achim will follow up with BLHeliSuite support very shortly . A Fairy 6A and a Fairy 40A. 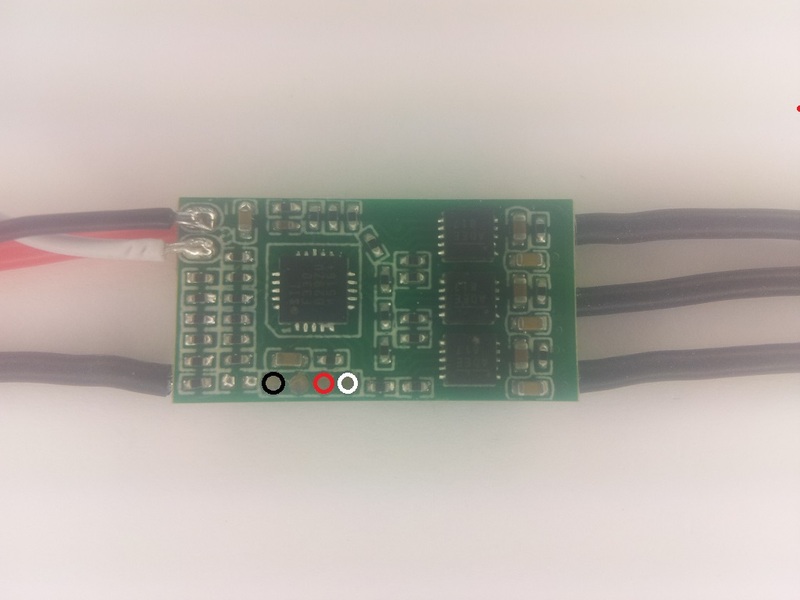 The Fairy 6A is a small Nfet and Pfet ESC that does not support damped light, but should otherwise be good. The Fairy 40A could prove to be a decent 6S ESC, although the high side driver is a bit slow to turn on, just like many Atmel ESCs. Sweet! Any word on the price range? Also how would you compare it performance wise to the RG20s? Last edited by QuadMcFly; Aug 09, 2015 at 11:45 AM. Sweet! Any word on the price range? I think pukindrublik mentioned it would cost about $15. I'm sold! Can't wait to see em on the shelves! I just flight tested those FVT escs today and damn those are pretty insane! Will these ship with BLHeli 14 and the bootloader preinstalled? Uh oh--LoL--insane enough to ditch the RG20As in favor of these FVTs? I think with a silabs F396 controller they might be absolutely the best esc in this size /class. From the pictures it looks like a f330. No I got both....not ditching anything. I got 4 multirotors and these were only a sample I got to try out. Do any of the ESC's mentioned above run at 50MHz? As I understand it, the F330 can only run at 25MHz max even with an external oscillator. I would love to see something that can handle these really high KV (3100+) motors. Hi guys, I was trying to flash my hobbywing x-rotor 20A particularly using arduino UNO. But the BLHeli Suite can't detect the ESC. I flashed my Arduino UNO with the interface in BLHeli 14 suite, using the Arduino BLHeli Bootloader but no luck. The suite can't detect my ESC. Any suggestions guys, I really need some help. Thanks! Which option exactly? The one marked with "C 1"? This won't work with a C2 connection! I suggest to select the so called 4-way interface by clicking on "Make Arduino general -- B D 2 3"! Afterwards open menu "Select ATMEL / SILABS Interface" and select option "B SILABS C2 (4w-if)"!